Givenchy Dahlia Noir L'Eau is a fresh woody floral fragrance, an explosion of citrus softened by the lightness of peach and the elegance of an unforgettable rose. 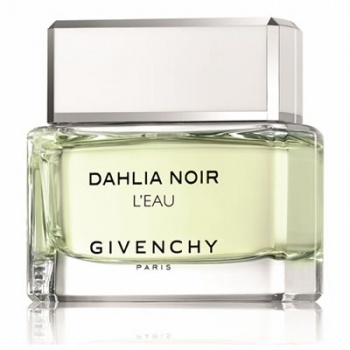 Givenchy Dahlia Noir L'Eau is radiant through to floral notes that gives it a crystalline burst of sunshine and freshness with a delicate and sophisticated memorable chypre and musky trail. Its floral petal dress is adorned with pearly dewdrops that take flight in an extremely feminine sensation of airy-lightness and transparency.